I bought this shirt solely for the art deco-ish print! Goodbye collar, sleeves, and shoulders. You won't be missed. And just like that, in a few simple steps... a tunic is born. What a change! 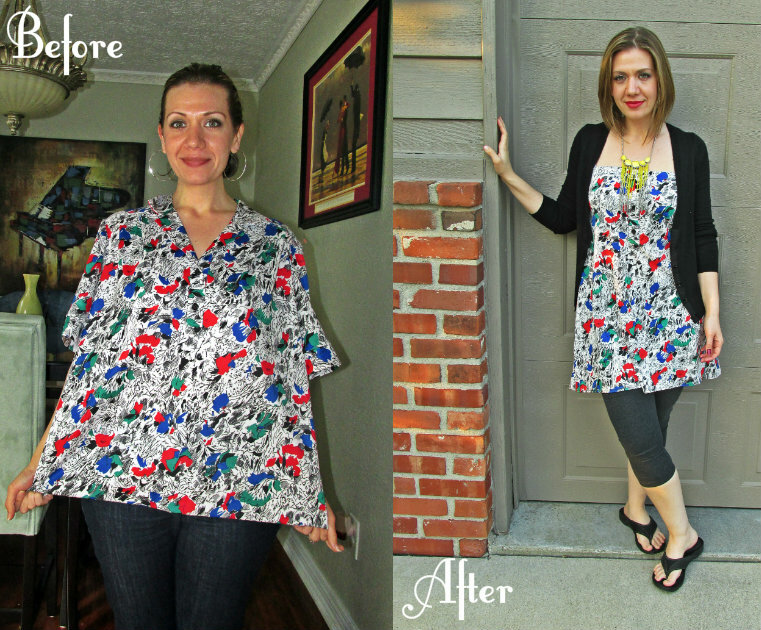 That print is wonderful, and so is the new tunic!